While enjoying summer’s bounty, often the idea of, “How can I make this last?” comes to mind. And while canning offers a great way to preserve goods for use throughout the fall and winter, it can also be intimidating. Luckily, there are a variety of traditional preservation methods that ease storage, maintain food flavor, and protect the health properties of the preserved food. Today, modern conveniences make the process both fun and easy, allowing you to savor food far past its expiration. Freezing is the easiest and most common method of food preservation. True—it’s both convenient and safe to throw leftover soup in the freezer. But it’s also important not to overlook the quality of the outcome. Freezer air is dry and wicks the moisture from food, leaving that infamous freezer-burned flavor. Make sure food is properly wrapped or stored in freezer-quality paper, BPA-free plastic, or glass to ensure long-term storage and a quality product. To freeze garden vegetables, first blanch, submerging them in boiling water for a few minutes. Next, quickly cool them in ice water to stop the cooking process. Blanching inhibits the food’s enzymes from breaking them down during the freezing process. In dry climates, dehydrating food is a great option. It’s also a space saver and doesn’t require energy use for storage. Electric food dehydrators boast quality and consistency, though solar dryers and open-air drying work well too. Most fruits and vegetables can be dried and transformed into snacks, used in soups, or blended to a powder for flavoring rice or pasta. Like freezing, most vegetables benefit from a quick blanching first. And, to prevent fruit from browning, soak peaches, apples, and bananas in ascorbic acid. Fermenting is the oldest method of food preservation and has recently resurged as a health fad. 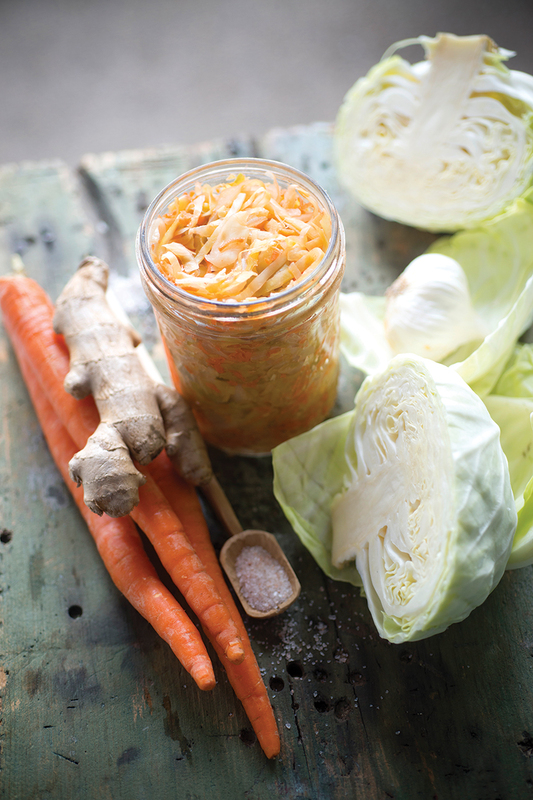 You don’t need electricity to prepare and store fermented vegetables, and the health benefits are amazing! To some, allowing food to sit out at room temperature may be perceived as unsafe. But to the contrary, the process creates a safe lactic acid environment for beneficial bacteria to form. Fermented vegetables, or “kraut,” keep for months in a cool dark space, or up to six months or more in a jar in the refrigerator. If you’re lucky enough to have a root cellar, basement, or garage that doesn’t freeze in the winter, maintain your fall veggies in dry storage. A root cellar’s temperature should remain at approximately fifty degrees, but a swing by ten degrees in either direction won’t hurt. Store winter squash, garlic, onions, and potatoes in containers that allow for ample airflow. Root vegetables such as carrots and beets do better buried in sand or enclosed in a dirt-laden plastic bag with breathing room. Remove the green tops first, and don’t wash the dirt! Join the hipster craze by making a kraut with fall garden veggies like cabbage, root vegetables, and alliums (garlic, onions). Add spices and seeds for flair (think fennel, cumin, crushed red pepper, or dill). Use your imagination, and toss in any excess finds from your pantry. 1. Run all jars, lids, and utensils through the dishwasher, or hand wash and fully dry before using. Sterilize if you want. 2. With clean hands, combine all ingredients in a large bowl, massaging them until the juices begin to release. 3. Let stand for 15 minutes, allowing the brine to form. 4. Massage the ingredients again before packing them into the Mason jars, leaving 1 to 2 inches of headroom. Vegetables must be packed tightly. Make sure all vegetables are submerged under the brine. 5. Screw on the lid, leaving it unturned a half-turn to allow gases to escape. 6. Leave the jar on the counter for 3-7 days, repacking it under the brine each day. When it has a nice fermented flavor, transfer to the fridge. Kraut will continue to ferment in the fridge and will keep for months. Store excess greens like spinach, collards, kale, and chard in your freezer. Add to omelets or soups throughout the winter. 1 bunch kale, spinach, collards, etc. 1. Boil at least 2 quarts of water in large stockpot. 2. Place washed and chopped greens in colander and submerge in boiling water for 2 minutes (collards take 3). 3. Remove the greens from the water and place them immediately in an ice water bath for 2 minutes. 4. Remove from the bath and press greens to expel excess water. 5. Store in airtight freezer bags or containers for up to 1 year. Label and date. Spread loose berries, individually, onto a cookie sheet and place them in the freezer. 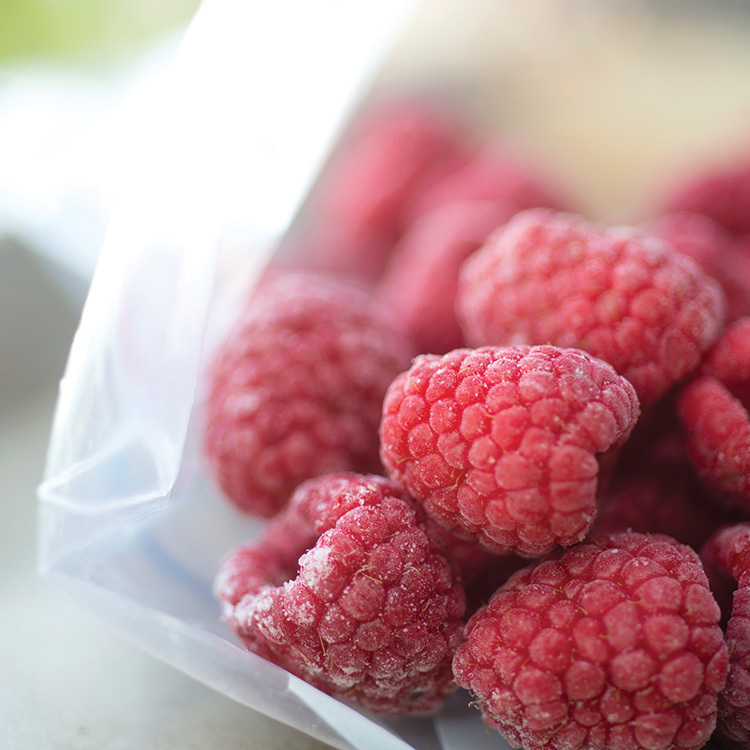 When the berries are frozen, transfer them to a freezer bag or container. Loose berries can be used, as needed, versus thawing out an entire container. For flavorful and cost-saving additions to your meals throughout the year, dry your summer herbs. 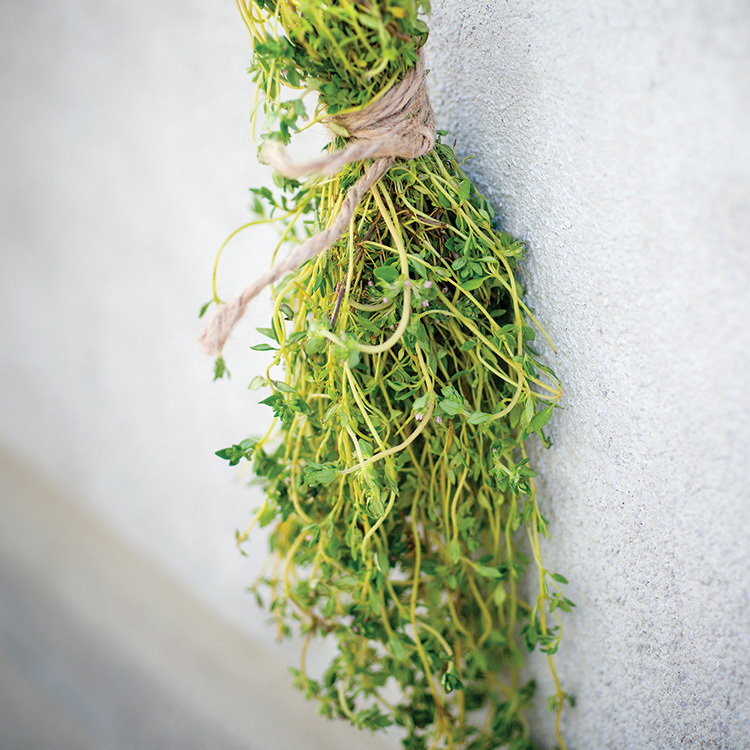 First, bundle herbs by tying them with string at the base. Then, hang them upside down in a cool, dark place for a few days. Once dry, crumble the leaves off the stalk and store in airtight jars. Don’t miss Fermentation Friday on October 10 at the SHIFT Festival in Jackson. Visit the Fermentation Station to learn techniques for making kombucha, tonics, fermented foods, and even gravlax from local trout. For a full schedule, visit shiftjh.org. Full Circle Education also offers fermentation and food preservation classes throughout the year as part of their sustainability workshop series. For more information, visit their site at tetonfullcircle.org. Have questions on food storage techniques and safety? Contact your local extension office at uwyo.edu/ces/ or uidaho.edu/extension.